Achu Murukku / Achappam / Rose Cookies, a crispy and delicious flower shaped Indian Cookies which is made from maida, sugar and egg white. I have not yet tried egg less version. For us, Diwali is never complete without these cute murukku. Sieve maida and combine with rice flour, egg white and cardamom powder in a mixing bowl. 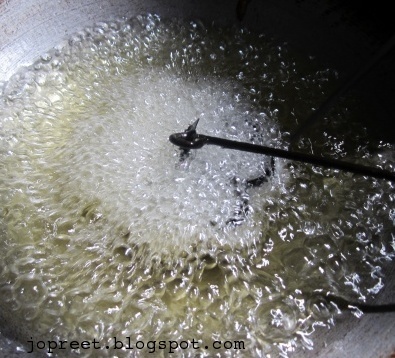 Add 1/4 cup water to sugar and mix till the sugar dissolves completely. Add this to maida. Now mix all and add enough water to make dosa batter like consistency. Keep it aside for 30 mins. Heat oil in a heavy bottomed kadhai and keep the mold in oil. Once it is hot, take the mold and immerse it in batter till 3/4. Don’t immerse it fully. 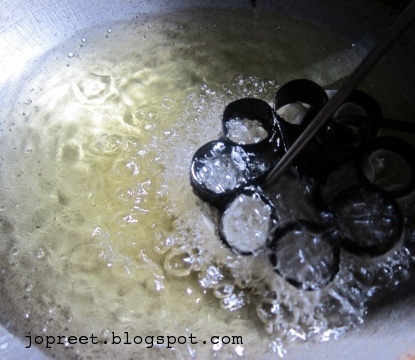 Immerse the mold in oil now and keep it for few seconds. 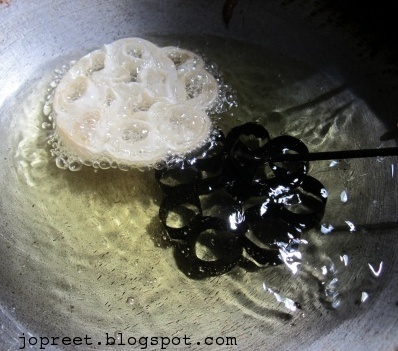 With the help of fork release the murukku in oil. Fry till it turns golden brown. Always keep the burner to low-medium flame. Proceed with the remaining batter. Store the murukku in an air-tight container. 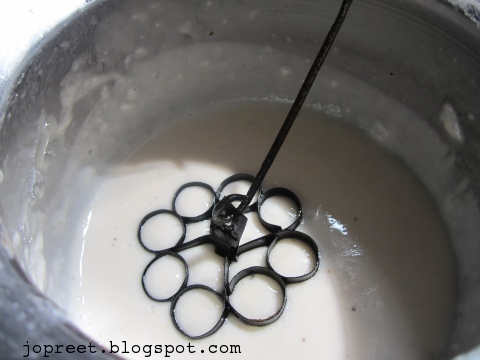 If there is left out batter, then take a spoonful of batter and drop in oil. Fry till it turns golden brown. Serve it and enjoy. It's perfect tea time snack. My grandma used to make it.. Been years since I had it. You have made it perfectly.. Fantastic achu murukkus,mine is quite different from yours..Well done. ahhhhhhhhhhhh!! soooooooo yummy! my fav! Thanks for this recipe! Where can I buy this acchu? you can ask in any utensils shop..
Nice crunchy snack. Totally love it! I always had the doubt about how they make achu murukku..after years i got the answer from your picture..thank you so much for your beautiful presentation…. You have amazing desserts in your blog! When I was visiting the family of an Indian friend in Malaysia, the desserts were a delightful surprise for me. Unfortunately none of the Indian restaurants I know in the US ever offered anything like these. thanks Hanseata..I have collections of typical indian food.. You can try those at home..
Nice post.. I wanna try this without egg.. will that work out ? Ranjani, I'm yet to try these without eggs.. Will share the post soon..